The Battle of Lenud’s Ferry was a battle of the American Revolutionary War that was fought on May 6, 1780 in present-day Berkeley County, South Carolina. The Loyalist British Legion, under the command of Lieutenant Colonel Banastre Tarleton, surprised and scattered a company of Patriot militia at Lenud’s Ferry, a crossing point on the Santee River, north of which lies present-day Georgetown County. General Sir Henry Clinton arrived before Charleston, South Carolina in late March 1780, and began siege preparations as the opening move in British plan to gain control over North and South Carolina. The city was defended by Continental Army troops under the command of General Benjamin Lincoln. As part of his plan to cut off Lincoln’s avenues of escape from Charleston, Clinton sent out troops under Lord Cornwallis to identify places to impede or block potential Continental Army movements north of the city. Cornwallis stationed himself near the forks of the Wando River, and sent out patrols to watch the area. Lieutenant Colonel William Washington’s company of Patriot cavalry had been scattered by Lieutenant Colonel Banastre Tarleton and the British Legion at Monck’s Corner in mid-April. These troops regrouped several weeks later north of the Santee River, where they came under the command of Colonel Anthony Walton White, who had recently arrived with a company of dragoons from Virginia. White and about 100 of his 350 men crossed the Santee on a probe to the south on May 5. They captured 18 British soldiers about four miles (6.4 km) north of Awendaw Creek, and returned to the Santee at Lenud’s Ferry with their prisoners. 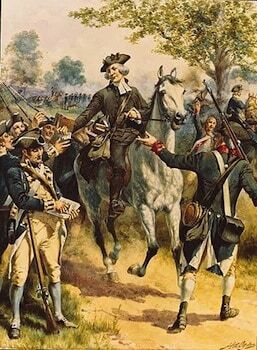 Tarleton happened to be on a patrol with 150 dragoons heading toward Lenud’s Ferry when he learned from a local Loyalist of the Patriot movements. Cornwallis claimed that this action “totalled demolished their Cavalry”. 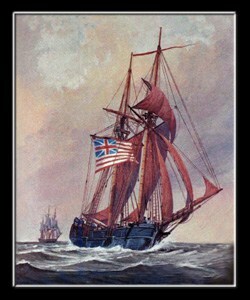 The battle showed that the British had control over the northern escape routes from the city of Charleston. Lincoln surrendered the city and his army, more than 5,000 men, on May 12.